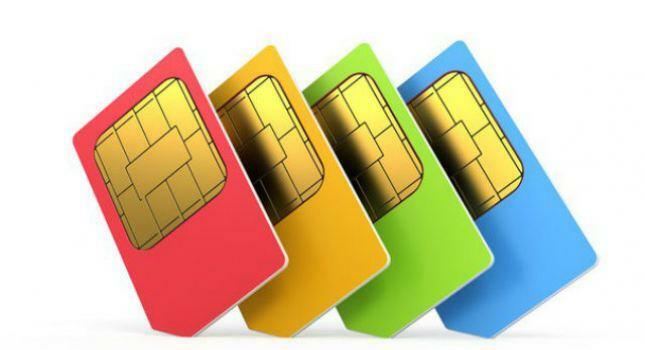 How many time lives the SIM card of the operators? Perhaps you once wondered how it is possible to not pay SIM card before the operator it will block and return the room to myself for resale. Let's see what time frame provided by the modern operators of Moscow: MTS, Beeline, MegaFon and Tele2. Data are presented to support operators in August 2016. All operators have one thing in common. Even if your balance is money, but you are not using a room, don't do the paid action number you would still try to overcome, first writing off all the money, and then locking the SIM card with a zero balance for inactivity. Under the paid action here means: calls, sending SMS/MMS, Internet access etc. I will Start to deduct money from your account after 150 days of inactivity. The amount varies from tariff to tariff, it can be clarified or in the contract or on the website of the operator. When all the money will be disbursed, the company will still have 183 days within which the SIM card and the number belong to you. After this period, the number moves back to the service provider. These guys are given just 45 days, after which you will start to write off the money. Here, the subscriber will amount to 15 rubles per day. At the end of a positive balance, you will be given another 89 days when you still remain the owner of the room. On 90-day the room is returned to the operator. Megaphone - the champion on speed. Tele2 willing to tolerate your inaction for 120 days. Then begin to write off the money in the amount of 3 rubles per day. Then pausing for 180 days, after which the SIM card is blocked, and the contract shall be deemed terminated. Immediately noticeable that Beeline and MegaFon - relatives. Beeline also gives you too much time to think. After 90 days you will begin to write for 5 rubles per day. Then give another 91 days, during which the SIM card will still work if you refill your balance. Then withdraw.